Step 6: Repeat a few more times around your head until you've created about 5-7 little braids. Make sure to take strands from all layers of the hair, not just the top. 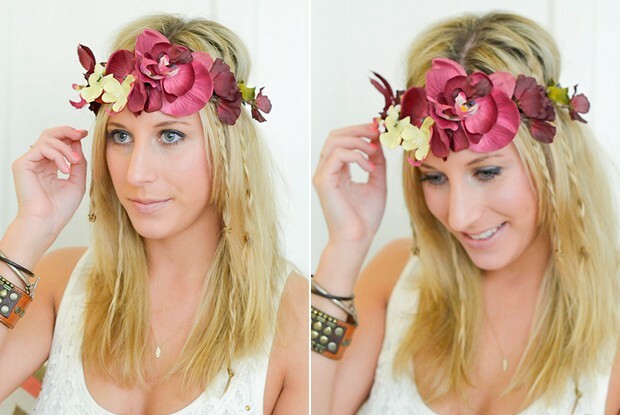 Add a flower crown, and you're Coachella ready!